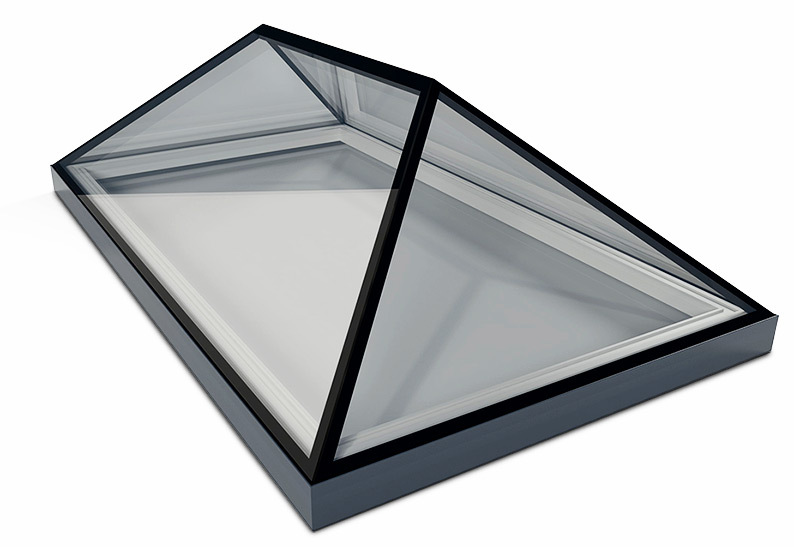 We are pleased to announce the addition of our new Frameless Glass Lanterns to our growing range of premium rooflights. 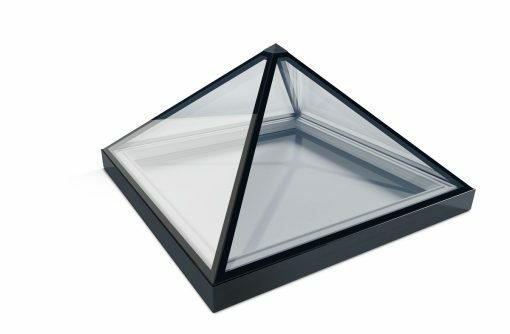 By uterlising the inherent strength of glass we have been able to create a beautiful roof lantern with NO aluminium frame, either inside or out. Glass to glass joints create a stunning architectural finish creating a focal point in any home. Factory glazing ensures a perfect finish and a leak through solution. A Modern Twist on the Traditional. We are being asked more and more for a solution that brings natural light into the home while increasing the feeling of space. Up to now the solution would involve either a traditional timber Lantern or aluminum atrium roof light. These solutions give you the extra height but the chunky bars limit the light and do not necessary lend themselves to modern design. Our Frameless Roof Lanterns are designed to fills this void, coupling modern design with the latest in high performance glass. We take our sizes from the internal structural opening, rather than the outside rooflight dimensions. Why compromise on design with bulky glazing bars or aluminium cappings. Factory glazed for easy installation. Just place on the roof and fix. No specialist skills required. *We are currently awaiting test results but anticipate system U Value of 1.4 WmK with our standard glass specification. New for 2018. We have launched a range of standard sizes for our top of the range frameless glass lanterns. would like to place an order. Please contact us and we will be happy to help. Cant Find What your looking for? 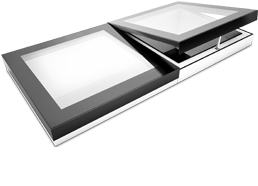 You can view all our rooflights for flat roofs here.